at the corner of 7th Street and Central Avenue, Ft. Dodge. had just moved to Fort Dodge when woodwinds were added to the band. R.C. 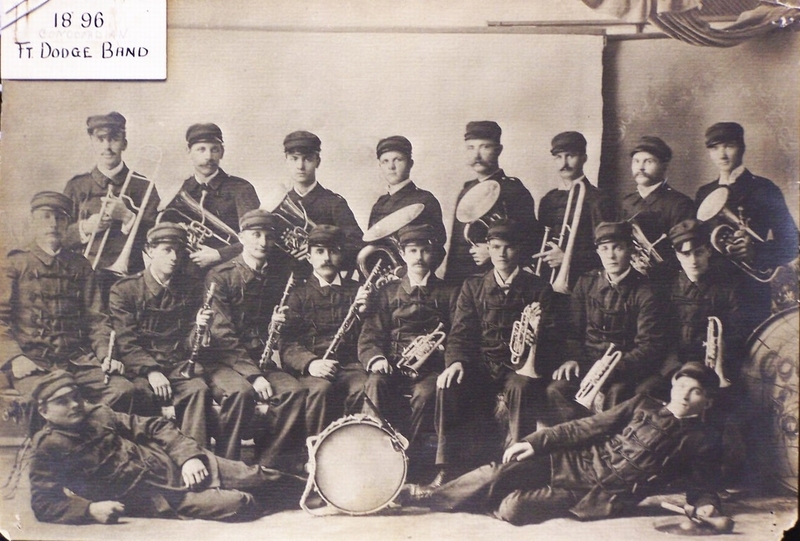 Beecher is the clarinet player third from the left, second row. 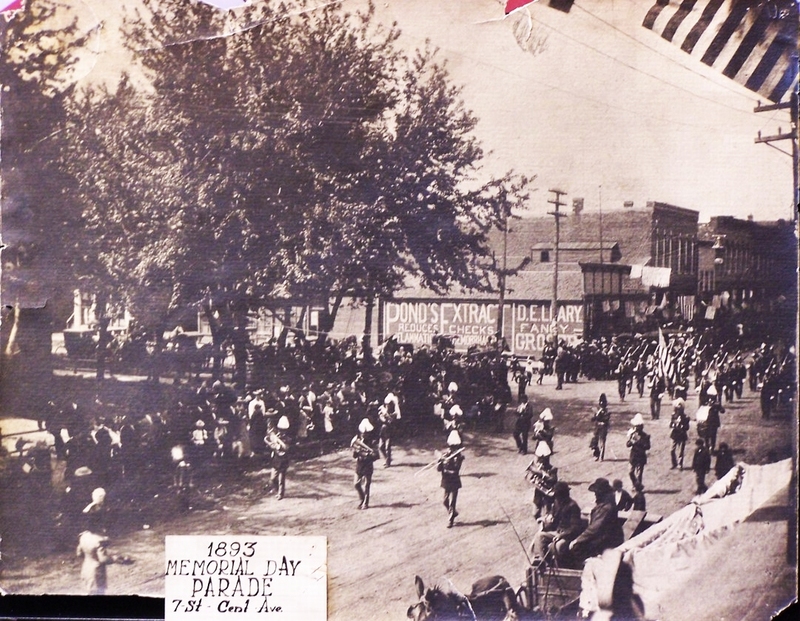 This band consisted of Fort Dodge area men who were activated for the Spanish-American War. They had never played together before being sent to Tennessee, but it was said that they practiced five hours a day there. 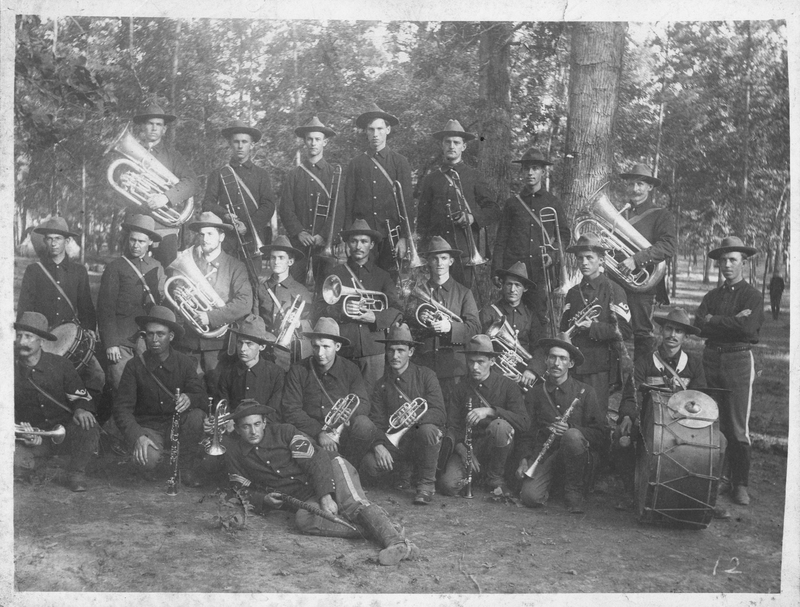 These men are unidentified except for the nineteen year old bass drummer, George W. Tremain. In 1901, G.W. Cy Tremain would become the manager/player of the newly formed Fort Dodge Military Band. Much later, when he performed for Karl King, Cy was in charge of publicity. 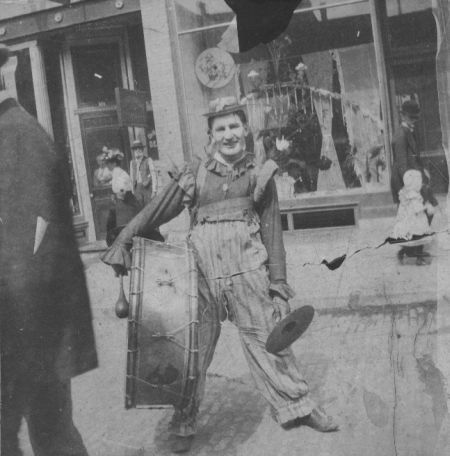 Lou Pray is shown here in his clown band outfit. Born in December of 1881, Louis Clark Pray volunteered as a 17 year old bugler in Company G of the 52nd Iowa Volunteers. He enlisted in April of 1898 and was mustered out of the army in November of the same year, becoming a veteran before he was 18. 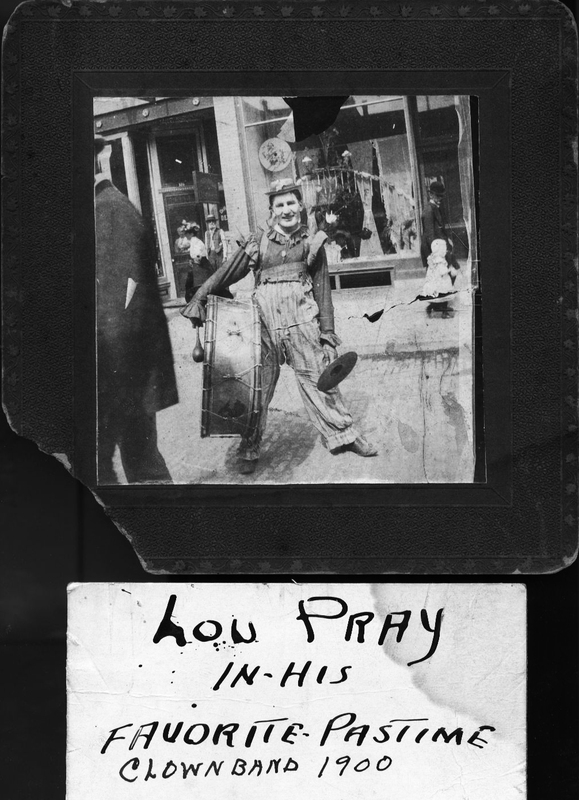 After his term in the service, Lou was first a locomotive fireman for the Illinois Central Railroad and then later started the Pray family's local plumbing and heating business. He was the oldest son of William Pray, who by this time no longer performed with the band because an accident had forced the amputation of a limb below the knee. And although Lou did not follow in his dad's career as a gunsmith, he extended the legacy begun by his dad as an important Fort Dodge musician. 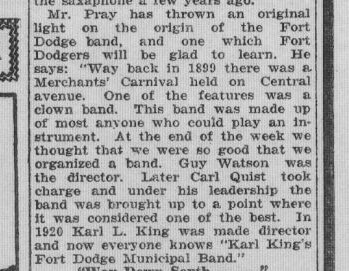 This is a portion of an article which told about Lou Pray and the history of early Fort Dodge Bands. It appeared in a May 6, 1930, special issue of the Fort Dodge Messenger and Chronicle.